Marcos Lerbach has plenty of experience with the under age set up in Brazil having worked in the Youth and Junior categories since 1984. Important Brazilian stars such as Nalbert, Giba, Dante and André Nascimento have all come under the wings of Lerbach. The 44-year-old was the one in charge when Brazil won two gold medals at the Junior World Championship in 1993 and 2001. Besides that, Lerbach was the head coach of the team which won the South American title nine times. 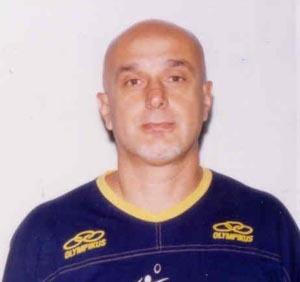 The results that he obtained in command of the Youth Brazilian national team were also important when he led the team to two world titles in 1989 and 1991. Lerbach's thoughts on the Junior Men's U21 World Championship: "I think it will be a strong competition. Many teams have improved a lot in the last few months and it is very difficult to determine a favorite for the title; however I put Russia, Italy, India and my team as main contenders. We can not forget some of the emerging teams. We have a good team and we hope to play well like we did before in the big competitions."